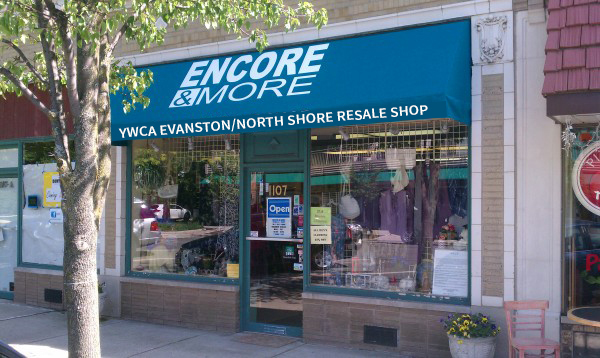 YWCA Evanston/North Shore announced today that it has acquired Encore & More, a resale shop in Wilmette, from the National Council of Jewish Women Chicago North Shore (NCJWCNS). NCJWCNS, a grassroots social justice organization based in Northbrook, has successfully managed the shop for more than 25 years. According to Executive Director Melissa Prober, the time had come to hand over the reins. Encore & More is a community staple in Wilmette, and, according to Singer, that won’t change. “We were impressed with its reputation as a quality resale shop and its firm footing in the community, which is part of our service area,” she said. For those interested in volunteering at the shop, YWCA is looking for help with inventory and sorting. The shop will continue to accept donations of new and gently used women’s clothing during store hours, which will remain the same.